Well I’m not sure where the week went but I wanted to finish posting about my kayaking trip before I head out on my bicycle trip! I think I’ll try to weave the various topics of packing, food, and certain locations into one long post, so here goes! Getting there: In my route post I mentioned the basic route for each day. We had two weeks to work with for this trip so we had plenty of time for getting to and from our put-in location. Many people will do a little extra driving to get to the Toquart Bay Campground and Marina as a starting point. This requires about an extra 3km paddle to reach the islands, but is a lot cheaper. 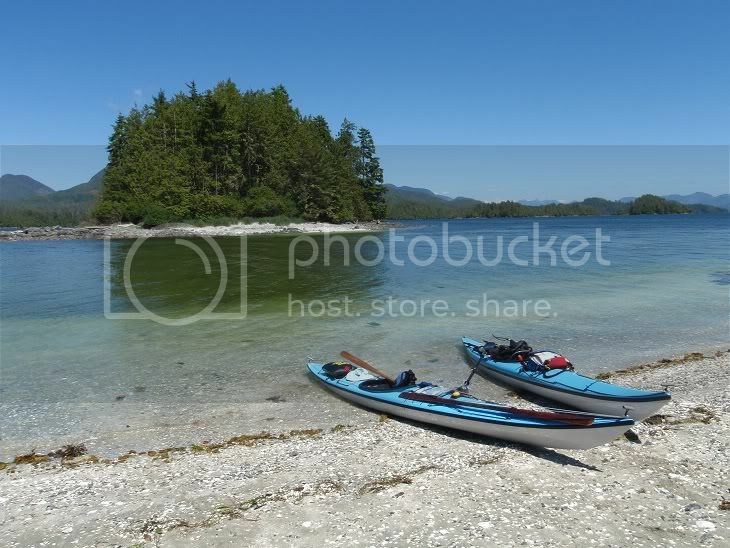 Richard hadn’t been paddling a lot so we agreed to do a more leisurely trip, which included taking the M.V. 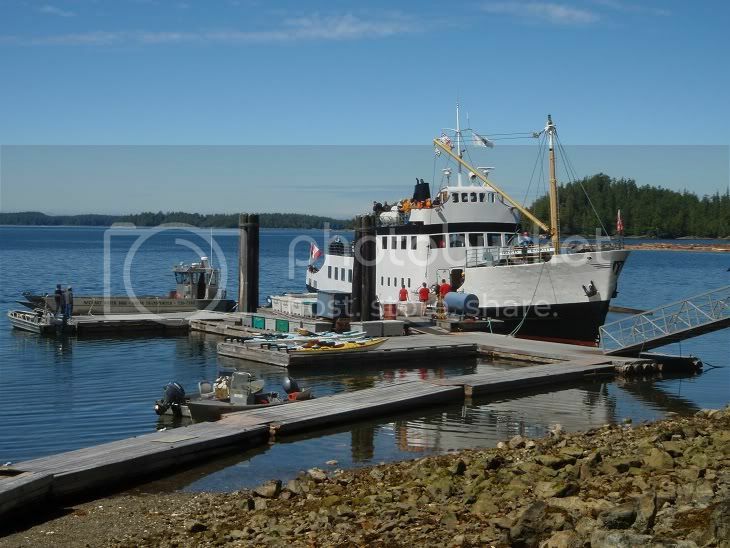 Frances Barkley from Port Alberni using the Lady Rose Marine Service (I keep calling it a ferry but Richard keeps correcting me saying it is a freighter). 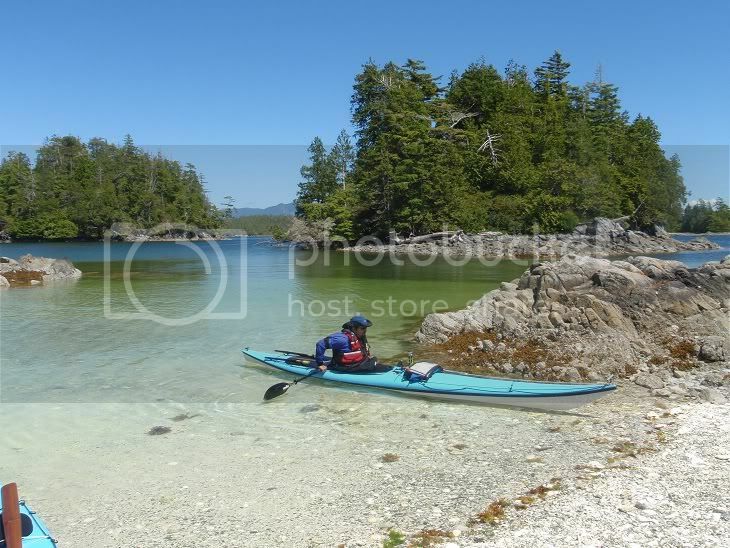 This would put us in at Sechart channel, a lot closer to the group of islands we were going to paddle. About a month before our trip we were at SSTIKS and in talking to some folks we got to know Dorothea from Vancouver Island who very kindly offered to let us stay at the house she was working on in Port Alberni. Since there is only one departure option on certain days of the week (8am each M, W, F, and Su) we knew we’d have to stay the night somewhere so this worked out perfectly. 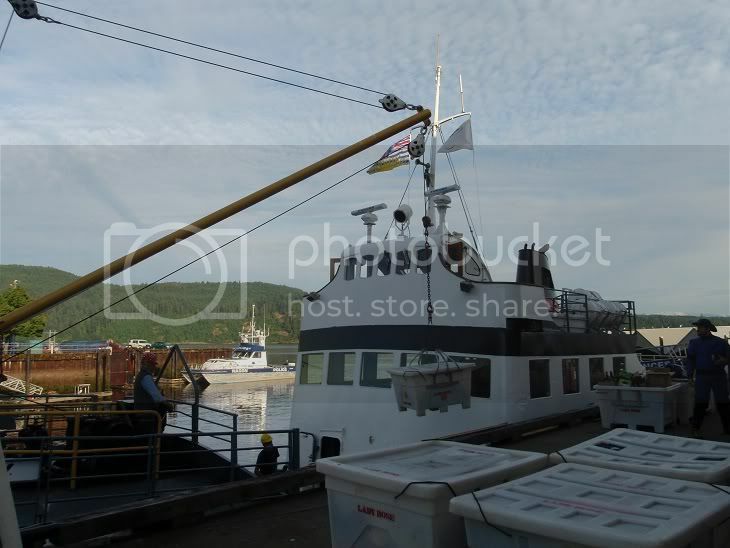 We took the afternoon Anacortes-Sidney ferry, drove up to Port Alberni and stayed the night at Dorothea's. From there it was an extremely short drive to the dock. 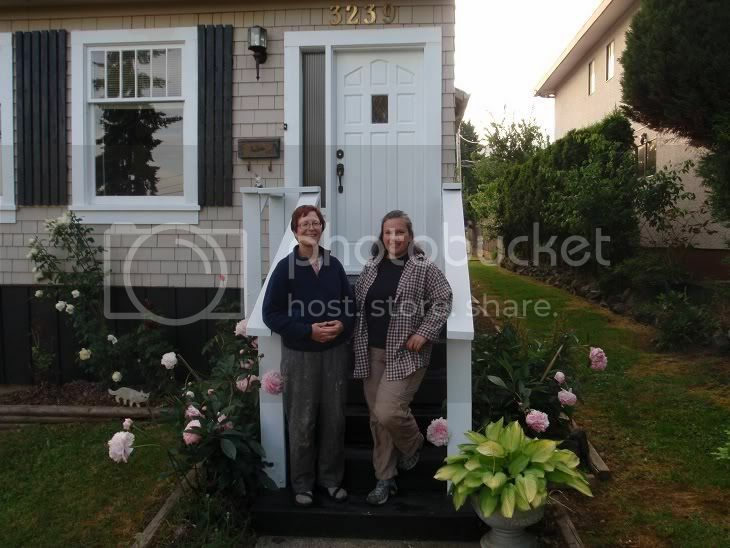 Here I am the morning of our departure with Dorothea in front of her place (it is up for sale if anyone is interested!). She had dessert for us the night we arrived and had breakfast ready for us in the morning, it was like our own bed and breakfast! She also dropped us off at the freighter to see us off then kept our car for us while we were gone. Sincere thanks Dorothea, for all the help and a fantastic sendoff. 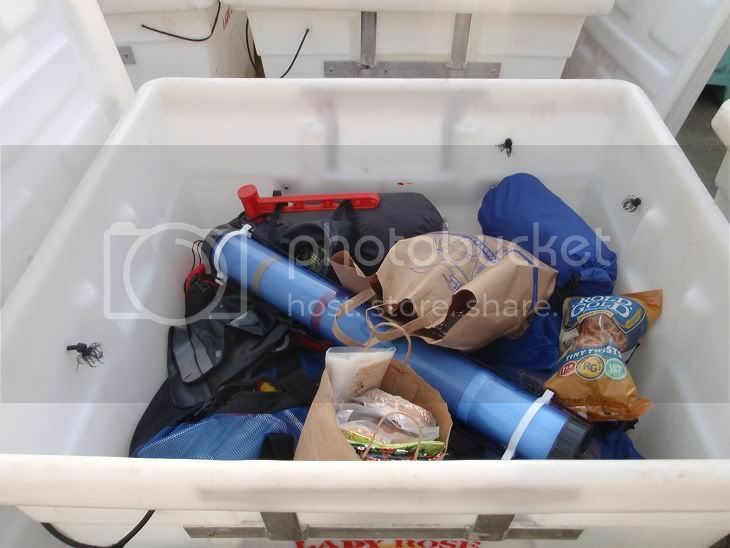 At the dock, we were given a 3’ x 3’ bin for our gear. This included all of our food and water too so we used two just to avoid crushing anything. They used a crane to then load all of the full bins. 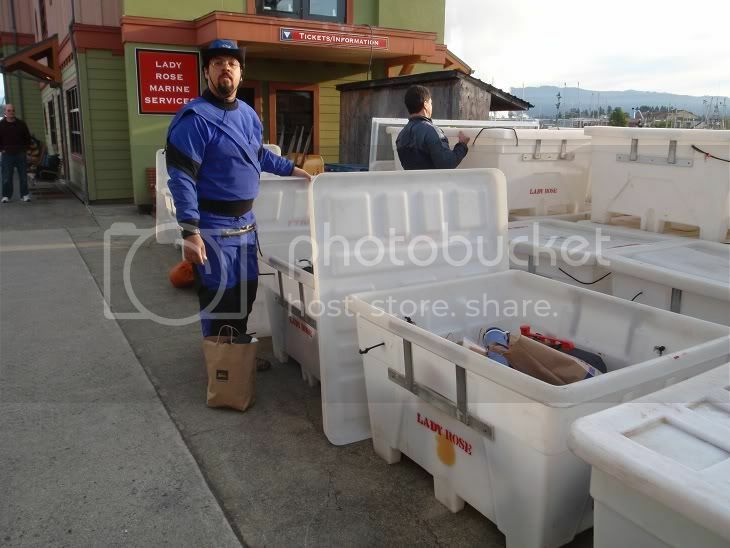 They hand loaded the empty kayaks as well. 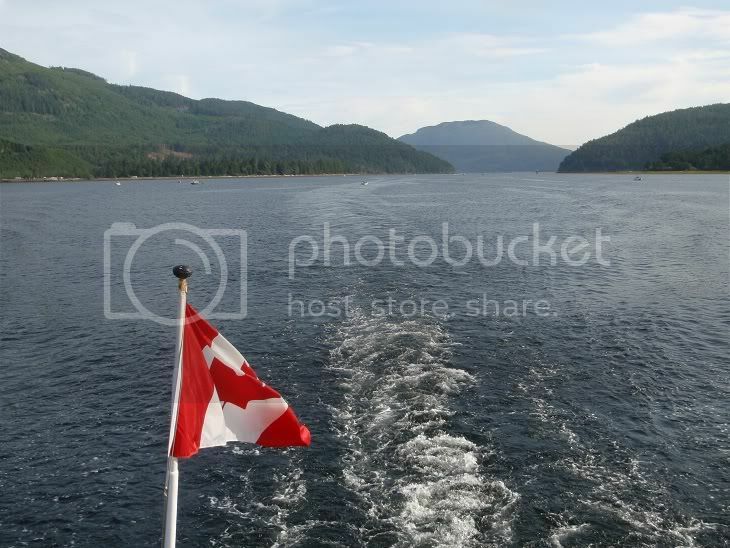 This ferry, sorry – freighter, was a gorgeous three-hour cruise down the Alberni Inlet. We landed at the Sechart lodge where we attended a very brief “orientation” for some basic does and don’ts in the National Park while they unloaded all the bins and kayaks (there were about a dozen other kayakers, many getting rentals from the lodge). 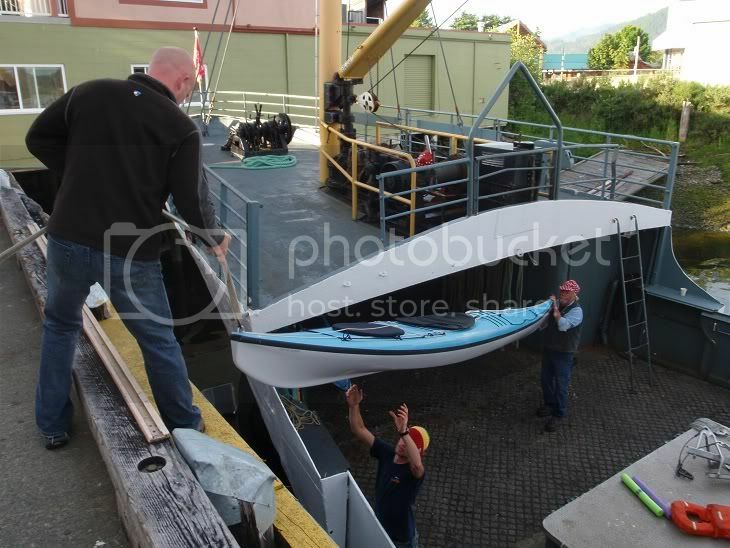 After our orientation it was time to load the kayaks and by about 1pm we were ready to paddle out. Our first day we paddled to Hand Island in hopes of seeing hundreds of starfish we were told might be in the bay there. It was a tad windy but we got through it ok and found a nice sheltered beach. No starfish but a quick glimpse of the area and I quickly recognized what a beautiful trip we were going to have. From here we headed on to Dodd Island where we would set up our first base camp. By this time it had gotten quite windy and we had to cross the Peacock Channel where the wind was funneling between islands. It was extremely choppy and I started to worry about all the paddlers I saw going out without drysuits or other safety equipment but several of the folks from our trip down on the Barkley eventually arrived at the same campground and seemed to be fine, though extremely worn out from their struggle against the wind. 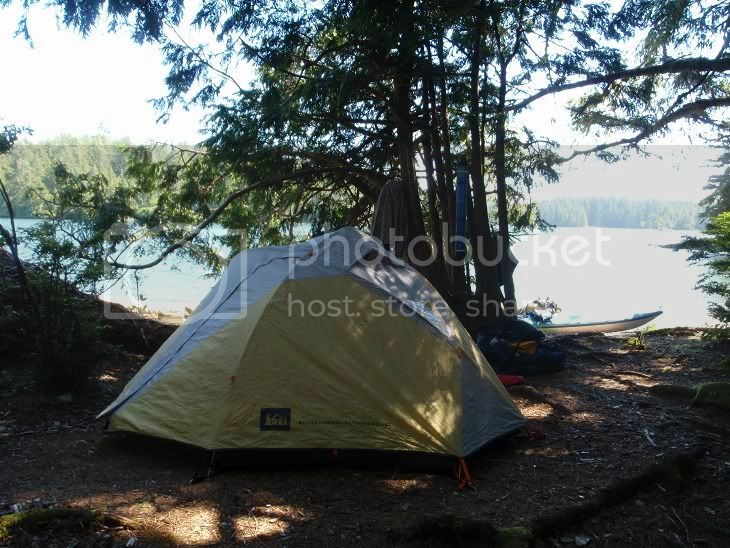 Dodd had a beautiful campground and we got a nice ocean view for our campsite, but it was an extremely crowded location. There were at least two guided groups on the island plus maybe a dozen other paddlers around. For our first meal we decided to try something new. We carried some fresh vegetables (snow peas straight from the garden!) 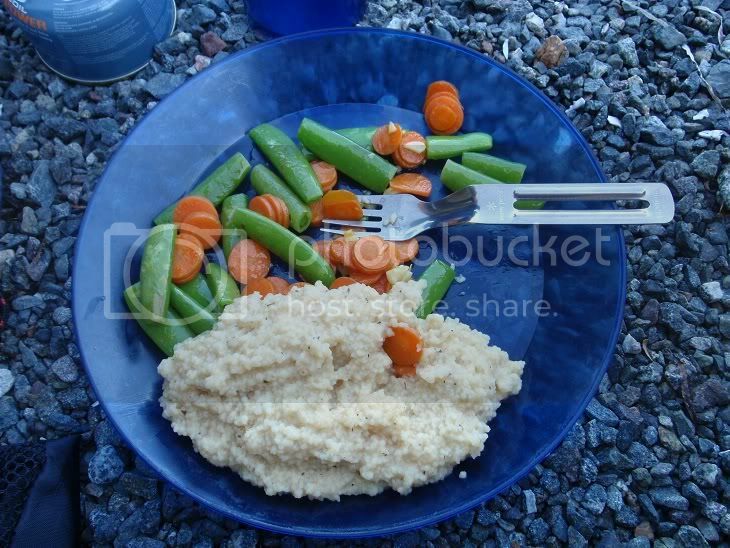 so we could make a garlic stir fry of carrots and snap peas along with couscous. After dinner we enjoyed a campfire with several other paddlers who were on the Barkley freighter with us. Richard tested out his new backpacker over and made fresh peanut butter cookies which were a hit with our campfire group. The next morning was a leisurely one since we didn’t have to break camp. I did some rolling in the morning and then by midday, around low tide, we decided to paddle around some of the islands. We had the SeaTrails chart, Barkley Sound Marine Recreation Map (useful for interesting sights to see), the full scale Broken Group Nautical Chart, and the “Kayaking the Broken Group Islands” book by JF Marleau (which we learned from several Canadians is more readily available in the US despite being written by a Canadian!). A little overkill on the resources but it helped us identify key areas to check out between islands! 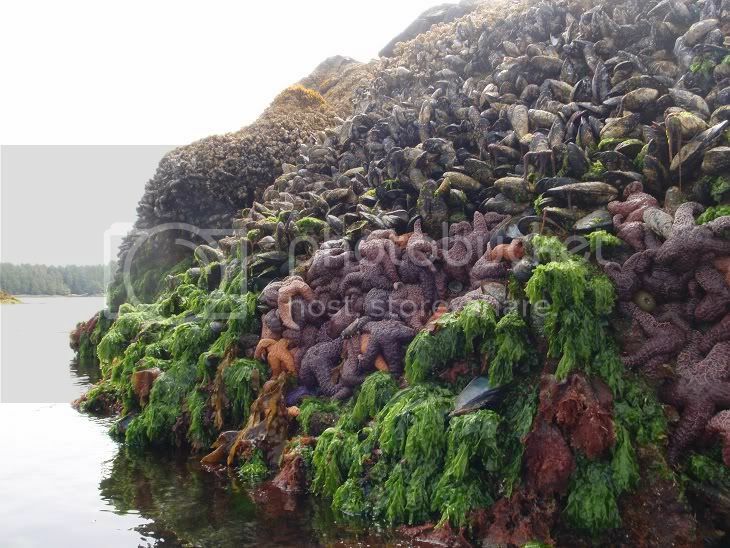 Based on a couple references there was supposed to be an old fish trap using rocks off Turtle, a great beach in the Tiny Group, and a couple places for tide pooling. The best spot seen that day ended up being the shell beach within the Tiny Group, which was also a nice sheltered break from the afternoon wind. 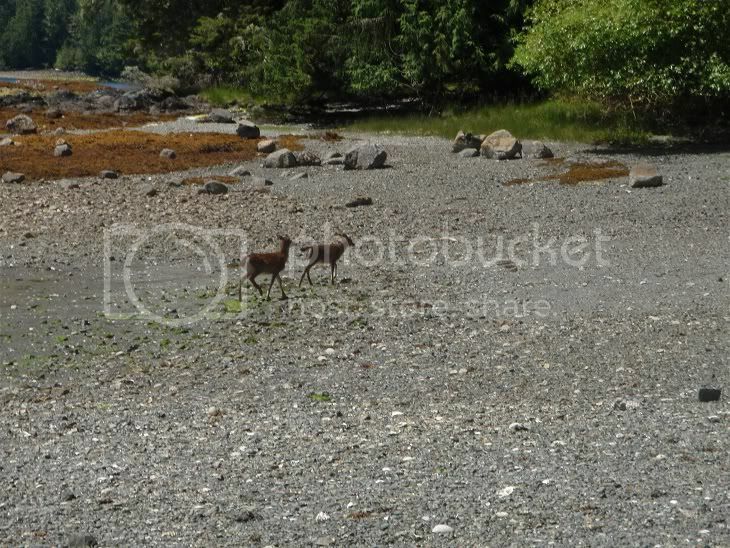 We also saw deer on Dodd island. As I learned on an earlier San Juan trip, they swim between islands. By the way, this is the beach in front of our campground, extremely low tide! Many of my wildlife photos reminded me that wildlife photography is hard, especially with a basic point and shoot with minimal zoom! On day three we had a simple breakfast, packed up camp, then paddled to Gilbert Island which is among the more exposed outer islands. 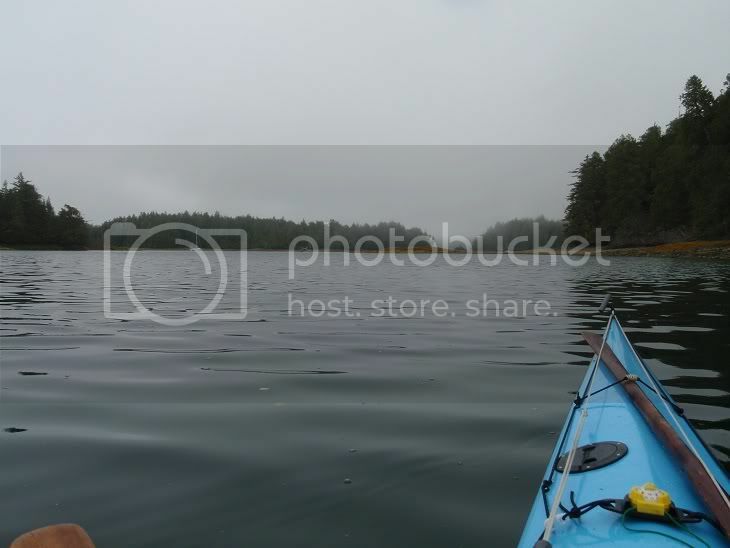 It was a calm, foggy morning (see other foggy morning photos in the earlier post about kayaker safety). 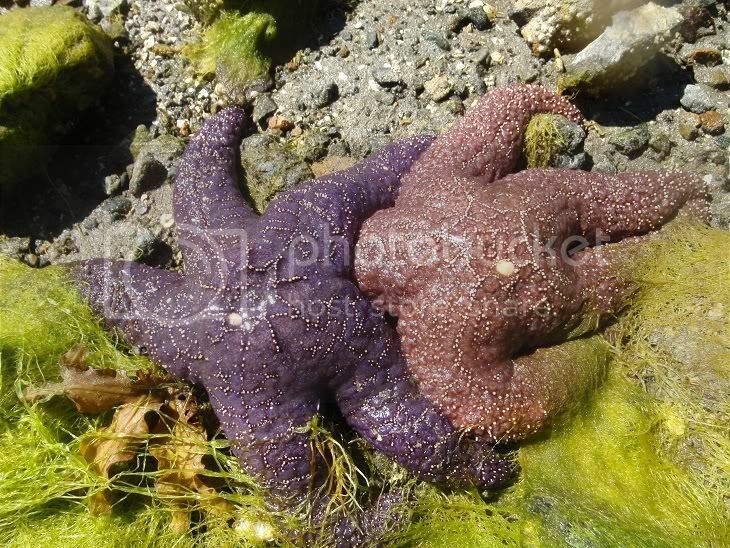 We left Dodd around low tide so we had some excellent tide pool options. We floated along the west side of Turtle in about a foot of water where we could see all sorts of animals. 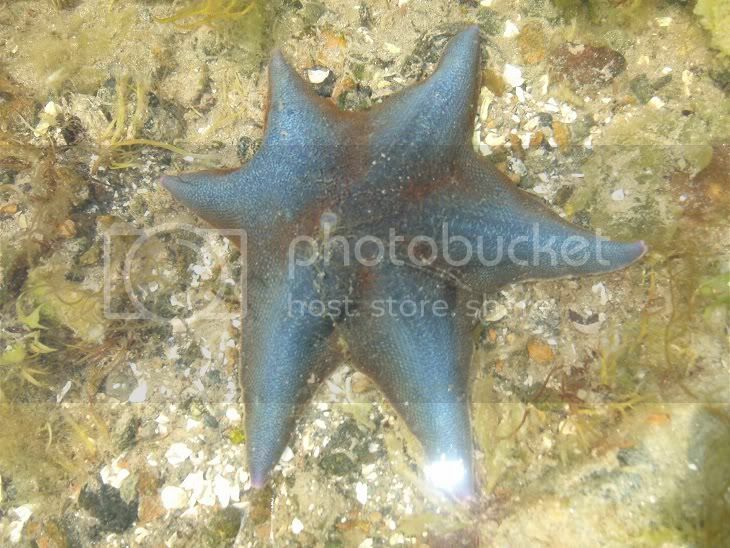 Here is a sample of the wide variety of just the star fish and other animals we saw throughout our trip. 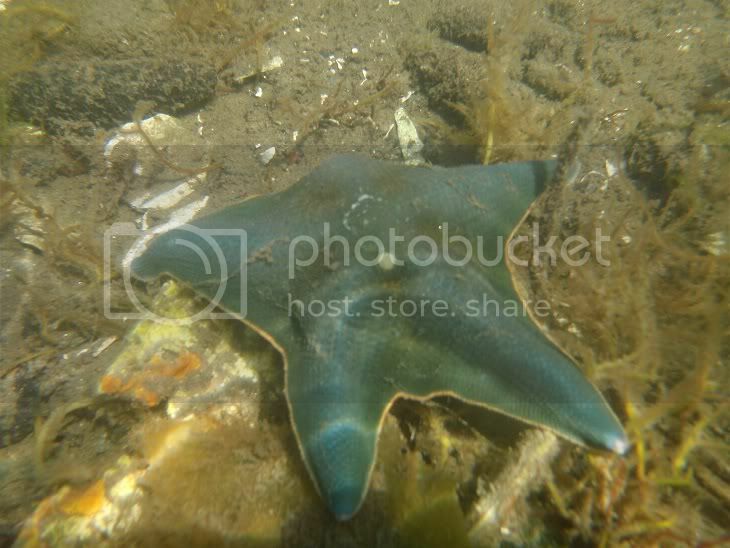 I just realized I don't have photos of a couple other varieties of starfish we saw which included a spiny pink star and leather star. 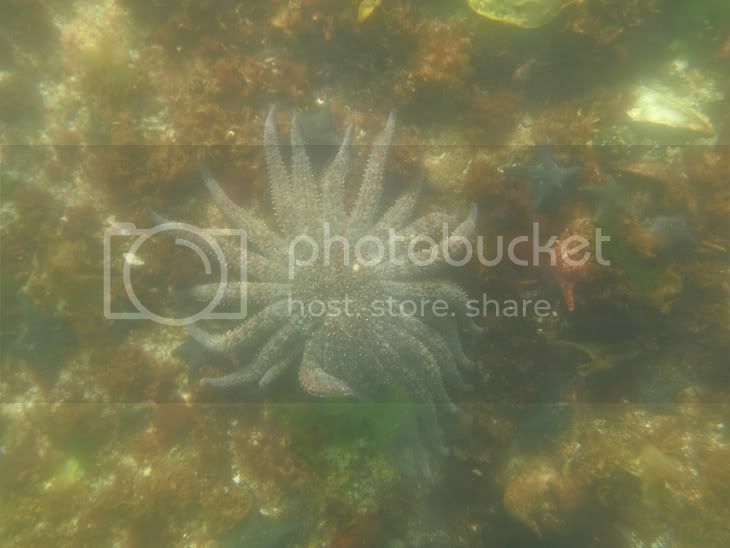 With all the tide pooling I started to wish I had a face mask so I could do a chest scull while looking down on the sealife and just pop my head up for air when needed! In this vicinity we also saw a lot of Moonsnail collars. These are their egg cases, a mixture of eggs, sand, and mucus. 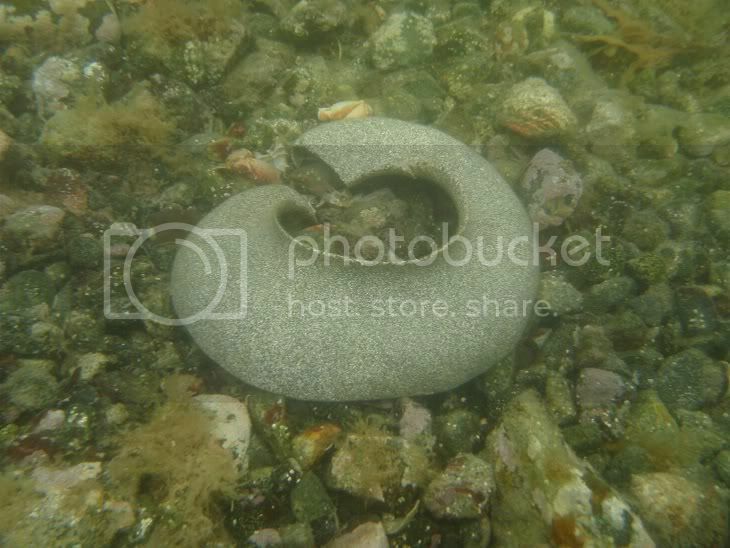 We never saw moonsnails but we saw plenty of these plunger-shaped cases! Between Turtle and Turret Islands there is a great rock area where there is supposedly a sunken shipwreck. 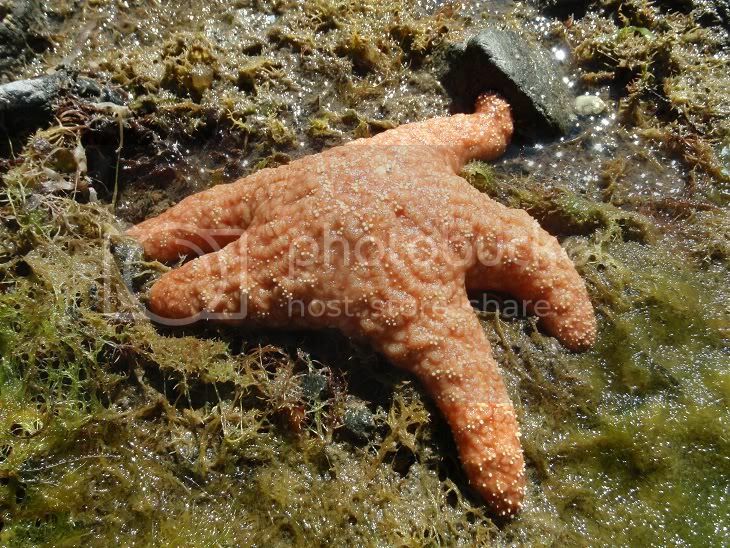 This ended up being my favorite place for tide pooling. 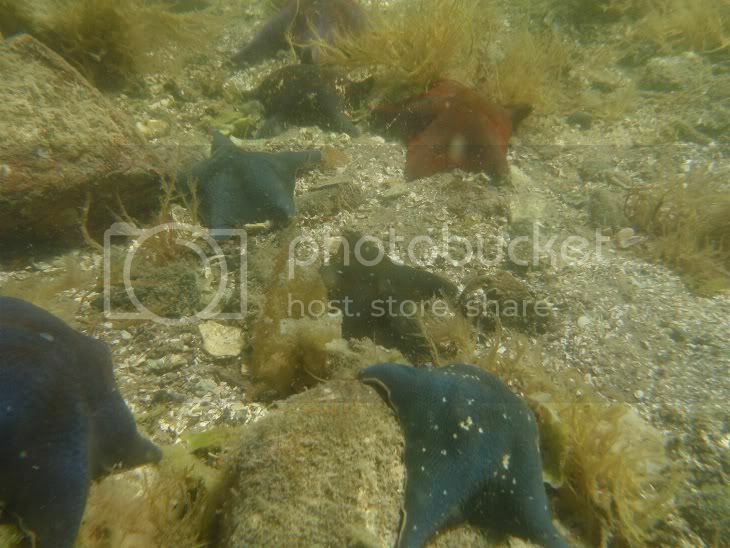 The muscles were enormous, there were tons of starfish, and gigantic sea anemones and other sealife. 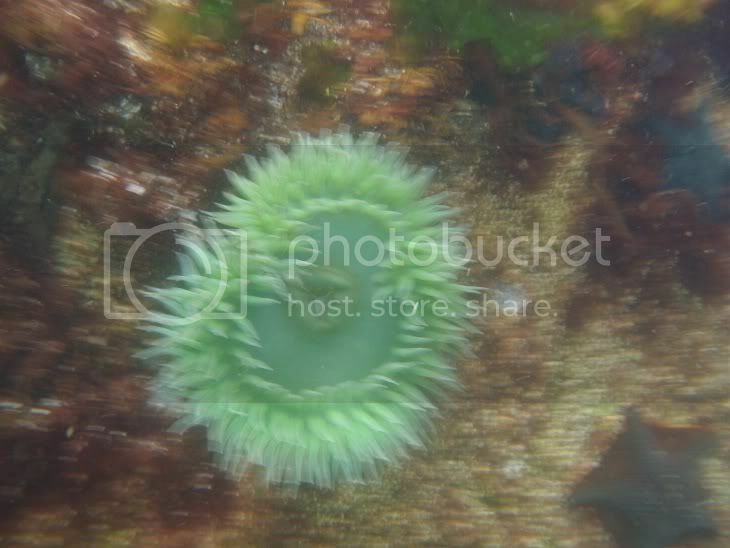 Ok, I wasn't having the best success with my underwater photography of wildlife either, but I had to share this huge sea anemone I saw in this area, there were tons of them! Once we set up on camp on Gilbert we thought about showers since the sun had burned through the fog. We had to carry all of our own water for the entire trip, but we also carried a “sun shower” so we could clean up at some point. We decided to shower on this day. We took a dip in the freezing cold salt water for an initial rinse then used the warmed up sun shower water for washing our hair and getting a salt-free rinse. Sorry, no shower pictures! 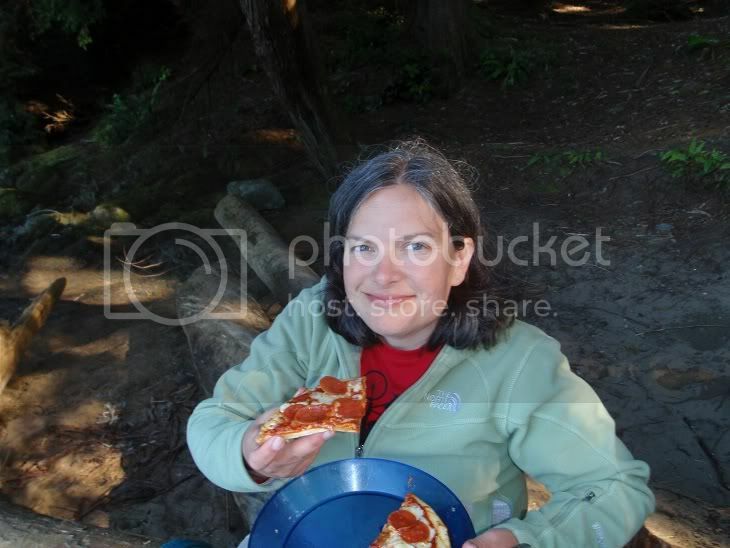 BEST CAMP MEAL: We also treated ourselves to pizza this night! This has been my favorite camp meal since our very first camping trip 5+ years ago. All it requires is mini Boboli crusts, a hard cheese that will melt, pepperoni, and sauce. We dehydrate the sauce so we don’t have to carry the jar and we vacuum seal the cheese to help it last longer. My favorite way to make this is to heat the pepperoni in the sauce pan so they get crispy. You take out the pepperoni and put in the Boboli so it gets warm and crispy with the grease. The warm and rehydrated sauce is then put on top, plus pepperoni and cheese plus any other ingredients (sometimes Richard dehydrates tomatoes so they are “sun dried” or you can bring plenty of other toppings). Put the lid on top of the pan in hopes of the cheese melting then enjoy. This time we had the pizza oven so we were able to bake our pizzas a little more so the cheese was thoroughly melted, yum! 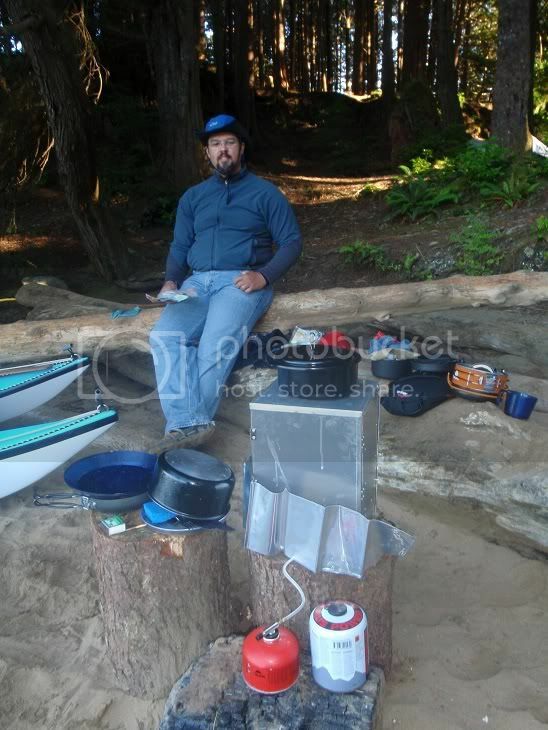 Here is Richard with the camp oven in the foreground. Since the oven was out Richard made brownies which we shared with the handful of other paddlers on this island. Another hit and a sure way to find a campfire seat with others who have already gathered wood and started a fire! We're about half way through the trip at this point. Given the length of this post I think I'll do a second post tomorrow to cover the remainder of the trip.